These are all pretty self explanatory! 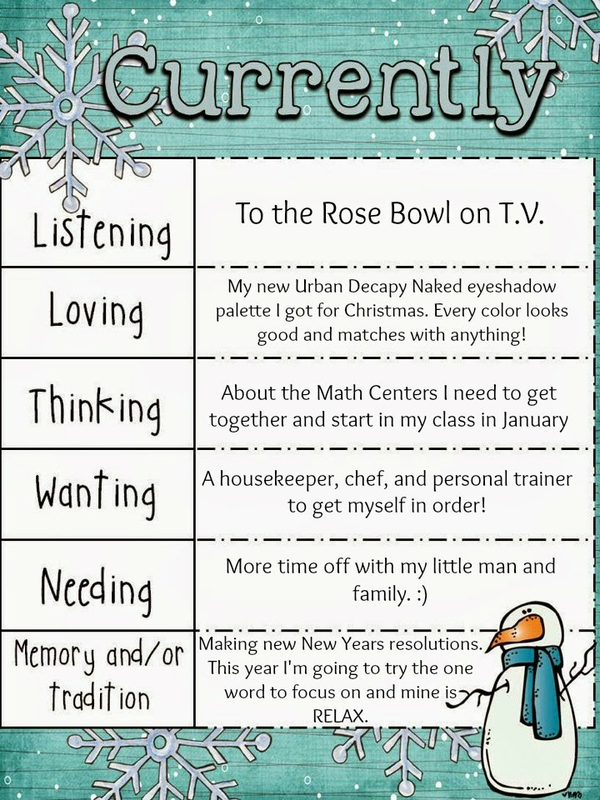 I'm hoping to share a little bit about how I get my math centers going once school starts in January, so be on the look out for that later! I don't know about you all, but I am not ready to head back to school on January 6th! But, this year my one word is going to be "RELAX" because that's exactly what I need to do! I'm a worrier and I'm sick of spending my time worrying about needless things. I'm sure a lot of you out there know exactly what I mean! To help you all get ready to go back my store will be on sale 15% off Thursday and Friday! Hi Kim! I just found your blog through Farley's Currently blog hop and have added your blog to my RSS Feed! I am absolutely in love with your Wants list, I can not imagine how easy life would be with all of those things in place. I am currently celebrating my 2 Year Blogiversary and would love for you to stop by, celebrate, and enter my giveaway!